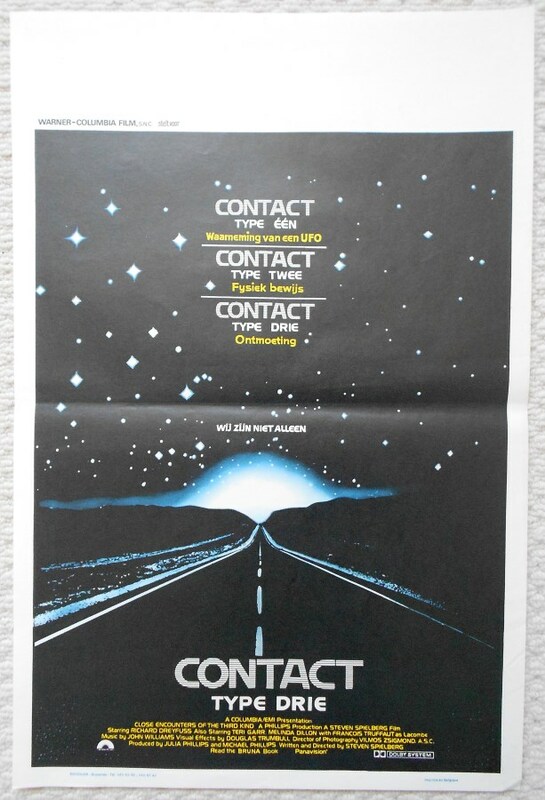 Original 1977 Belgium Movie Poster from the Steven Spielberg film ' Close Encounters of the Third Kind ' featuring Richard Dreyfuss. This poster is in VG-Fine condition and measures 21.5" x 14.". It has a tiny corner crease and a small surface crease which is hardly noticeable.